Ecuador’s President Rafael Correa is well-known for his tough stance on ‘US imperialism’, and he often comes under fire for his unorthodox actions. Whether defaulting on billions of dollars of foreign debt, or more recently filing defamation lawsuits against media outlets, President Correa is happy to stand out of step with western expectations. At present the Ecuadorian President is under intense scrutiny for suppressing freedom of speech. Most recently he has ignited a fire storm of rhetoric over new laws governing the media. President Correa has said, “Media cannot be political actors. We have to put an end to the illegitimate, immoral political power that certain media have.” There is undoubtedly some truth to his statements. While freedom of information is a thorny issue across the globe, it might be useful to pause for a moment and reflect on what we mean by “free media”. You need only look at the Wikileaks drama to see how freedom of information can make for powerful enemies. 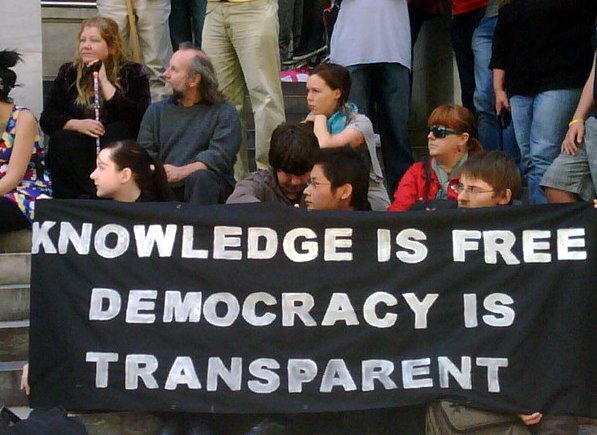 In many countries the media exerts undue influence on our most democratic of institutions – elections. And that is President Correa’s point. In the run up to the last UK elections, many people will remember the decisive day that the Sun ran a front page announcing ‘Labour’s lost it’ – what Labour had lost was the support of the populist publication and so began a smear campaign against the Labour prime minister. Was this linked to Labour’s eventual defeat? At least in part. A publication like the Sun is unashamedly party political, after all ‘It’s the Sun wot won it’. There is no doubt that mainstream media exists to further an agenda. So whose interests are we really worried about protecting? But how many newspapers and magazines ‘assault’ our democracy everyday? And more importantly, how we keep letting them get away with it? 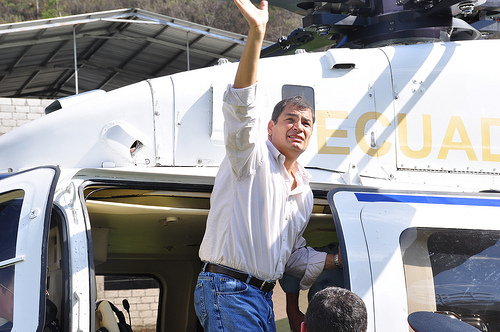 Back in Ecuador, President Correa remains popular among his own people. He reportedly enjoys an 80% approval rating, perhaps because of the many social programmes he has implemented to benefit the poor and the marginalised. Pursuing policies that benefit the bulk of the population is, after all, probably not a bad way to get ahead in the polls. But trying to reform and change entrenched powers is never an easy task. President Correa has firmly stepped onto the slippery slope of censorship and rightly many are concerned about the implications. Correa has been described as a “charismatic, complex, and volatile” leader, and while he undoubtedly earns undue criticism from conservative adversaries (who would rather see the poor remain downtrodden), it is vitally important that people are not afraid to voice their concerns and criticisms about the government. But while we are having conversations about media freedom, perhaps we can talk about the dangers of the status quo we face elsewhere?